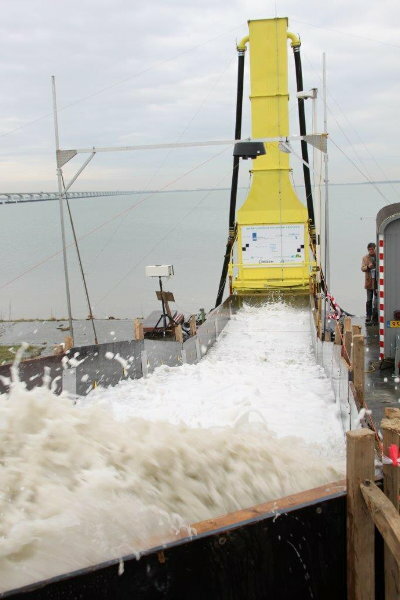 Lessons learned of this pilot test were that the side walls should be strengthened and that the run-up simulator should be modified to a more slender shape. 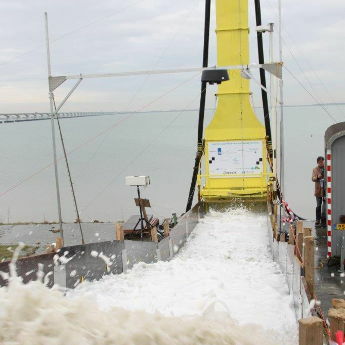 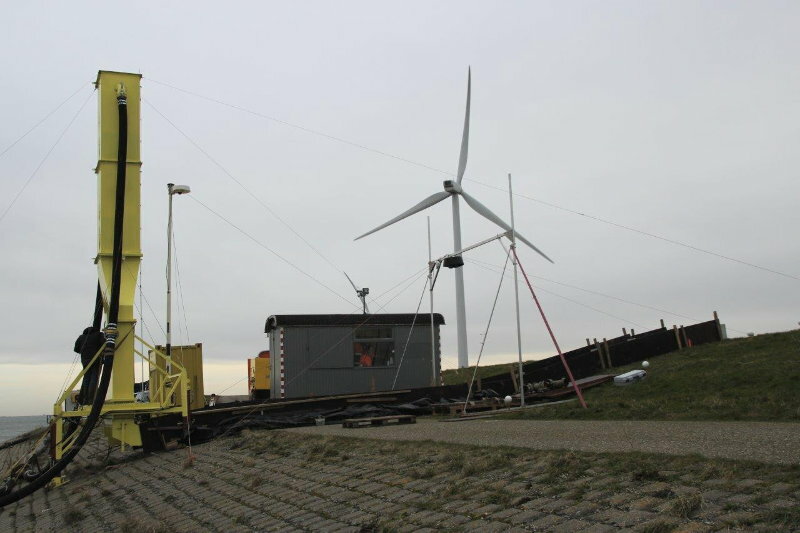 These improvements have been: a new slender run-up simulator has been fabricated end of 2013 and tests have been performed in 2014 at a dike slope in the province of Zeeland. 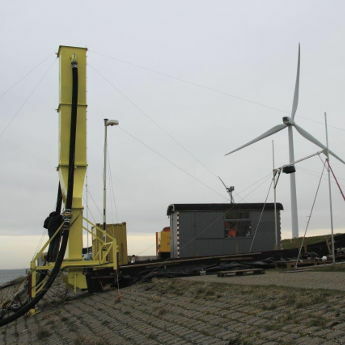 An impression is given is given by the video:.